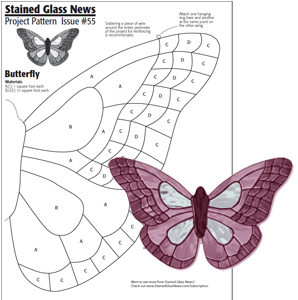 Create this beautiful stained glass butterfly to hang in your window. This free pattern courtesy of our friends at Stained Glass News. Visit their website www.stainedglassnews.com for more information about their full-color, project-packed newspaper, back issues, and subscription information.